Following the release of the DOI report, two NYCHA top managers were forced to resign and another one was demoted. Mayor de Blasio despite calling the failure to inspect NYCHA apartments for lead paint “unacceptable” continues to support Shola Olatoye. Mayor de Blasio himself learned about the scandal a year ago and did nothing. He also admitted that two children were poisoned because of the lapse of safety inspections. Last week NYSHA announced that all missed inspections would take place Today. Tenants received a notice that they should be home Today between 1:00 pm and 4:00 pm and that if they weren’t NYCHA would exercise the right to enter by removing and replacing door locks if they didn’t have a copy of the key. NYCHA also instructed tenants to pick up keys to replacement locks by no later than 4:30 p.m. — or bring photo ID to collect them later at the local police precinct. NYCHA is organizing this massive inspection on a Monday just after the holidays when most tenants have to get back to work. 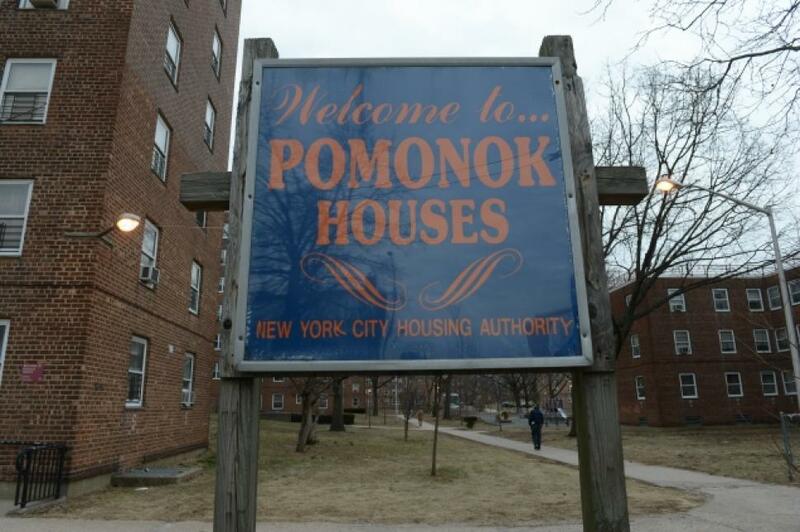 Monica Corbett, president of Pomonok’s tenant association feels NYCHA behavior is unfair. After years of neglect NYCHA sends a five day notice, just before Thanksgiving, that tenants should be home on Monday when most people are returning to work after the holiday. Tenants feel they are being bullied to stay in their apartments.